Every year our staff vote for their favourite books, albums, films and TV shows of the past 12 months. Here are our top 10 junior fiction books of the year, voted for by Readings' staff, and displayed in no particular order. This little gem is three stories, each with short, satisfying, fun-filled chapters, bursting with jokes, wacky drawings and smart word repetition. It stars a ‘master of disguise’ rock pigeon recruited to a gang of crime-fighting city pigeons; it’s guaranteed to make children laugh and (more importantly) to compel young readers to keep reading. Ages 5+. Mother Bear calms her cub with whispered tales of a magical forest world: there’s the Night Guardian’s gentle call to sleep, the quiet reverie of friendship, and a soothing swim by moonlight. This little lullaby and its peaceful colour palette is perfect for ages 3+, especially those delaying bedtime! These first two adventures (fingers crossed for more!) of the wonderfully feisty Lemonade Jones navigate the challenges of school, family and friends with exceptional creativity and invention. This delightfully illustrated chronicle of her mischievous escapades will captivate children and adults alike; it’s ideal for ages 5+ and the perfect read-aloud for all the family. Imagine Indiana Jones as a penguin and you’ll know why I loved this book. Add Mr Penguin’s trusty sidekick (a bowler hat-wearing, Kung Fu kicking spider), a dangerous quest for lost treasure and you have a madcap adventure series guaranteed to keep young readers turning pages. Highly recommended for readers aged 7+. 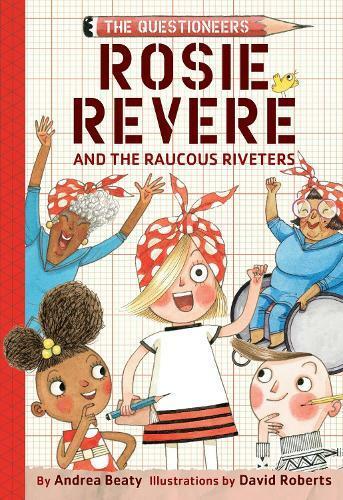 From the minds behind Rosie Revere, Engineer; Iggy Peck, Architect; and Ada Twist, Scientist comes this delightful tale of a young engineer seeking to help her friend (whose arms are in casts) to paint. This first book in a series is highly recommended for boys and girls aged 7+. Five Chapters and five cases introduce the cutest crime-solving private eye in the business! Every beginner reader deserves a copy of this easy-to-read creation with its clever repetition. It’s part picture book and part graphic novel, but mostly an outstanding first chapter book with visual clues to excite adults as well. This outstanding collection of the exploits of a most endearing Labrador is inspired by the real-life Guide Dog Ambassador, Mr Walker. Whether he’s slip-sliding on marble floors or scaring away burglars, Mr Walker has a nose for adventure. Great to read aloud with children aged 4+, and perfect for independent readers. Royalties go to Guide Dogs Victoria. The Yark loves children, especially their crunchy little bones and soft, tasty eyeballs. Then he meets the delightfully sweet Madeleine and everything changes! Independent readers with a wicked sense of humour are in for a delicious treat, topped with gorgeous black-and-white illustrations. A wonderful homage to the transformative power of love and friendship. This gentle and funny story of family and friendships revolves around the mischievous escapades of a troublesome pet goat named Jellybean. The Adventures of Jellybean is a lovely read-aloud tale for the whole family and independent readers will certainly enjoy all the havoc and mayhem wreaked by our four-footed star. Goodbye, passive female characters of yesteryear! Hello, feisty girls of today! In this charmingly illustrated collection of re-imagined fairy tales, our heroines are smart, brave, exceptionally resourceful, and more than capable of making their own Happily Ever After. This empowering and spirited collection is essential bedtime reading for all the family.